It is a transitional time for me, and it seems also for many others. As above, so below. The micro and the macro. When I notice patterns of similarity between my smaller personal patterns and those in the larger community around me, I can’t help but think about how these patterns of change and transmutation are being carried out in the bigger picture. Powerful times. Personally I am in the process of changing my location from Sydney to Launceston in beautiful Tasmania. This means two things for you as clients & friends or soon to be clients & friends. Firstly I am wrapping up Sydney as my major port of call, so I will be taking larger blocks of appointments in Sydney until the end of this year and then it will tapper off to a regular monthly guest spot. Secondly for anyone in Tasmania that is already receiving my email, I will be doing regular guest spots leading up to the end of the year. So now is a good time to start getting work done before I get busy. I will be doing a big push later in the year around town letting the right people know that I am here and sewing myself into this great community. Below I will open the books for both Sydney and Tasmania. I did Duanne’s first tattoo while I was there. We met a couple of years ago and spoke about this particular tattoo. 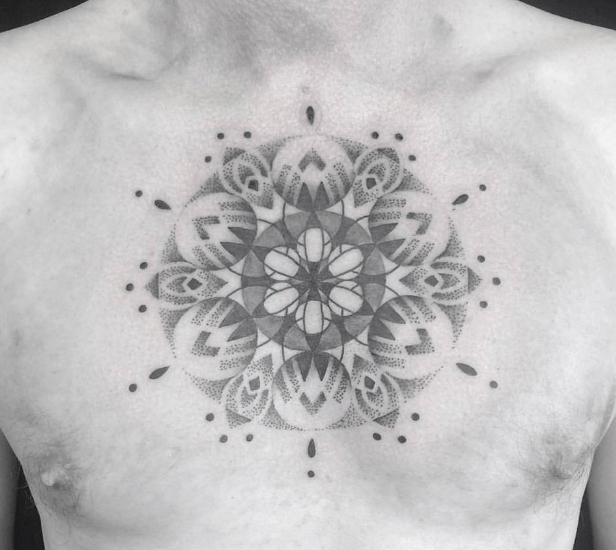 It was a heart centred mandala, drawing on an experience he had earlier in his life, opening and expanding in its energy. He did extremely well for a first tattoo and I think he was just as happy as me watching this humble thought manifest years down the track… That’s usually how its happens. A conversation is had, an idea is born and starts to grow… and then at the right time it flowers. Always at the right time. Thanks mate. The Present – Tasmania, Living in Launceston. As you have already gathered we are currently living in Tasmania. When I refer to “we”, for those who I have not yet met, I am referring to Jeerish (my “wife”), our unborn baby and who ever else is journeying with us at the time (usually my apprentice Luna & clients/friends). We are also currently gestating the task of opening my private studio. A wonderful moment that I have been shaping in my heart and mind for the past 10 years. I am so grateful for all the artists, teachers and mentors I have spent time with in so many different spaces and studios all over the world. Surely they will all play a part in the form that the coming space will take on. I am also keen to hear from you, my circle. What would you like to experience or what have you liked in particular about past experiences? 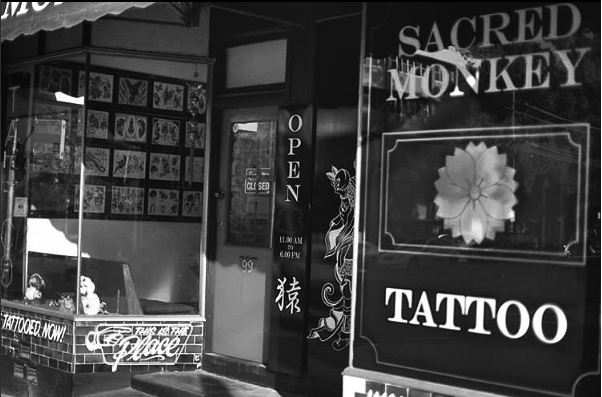 What type of space would you like to be tattooed in? There is much that I have already digested from our pop-up spaces over the past few years that I am working on incorporating more permanently into the new space. However any suggestions are welcome so please submit yours here. Sydney clients, I will be taking on existing work and the projects that resonate with me most from new submission. Due to this I am asking everyone to submit their ideas below even if you have previously submitted. I have spoken to many of you and know you have been waiting patiently, thank you. Please head to my contact page and fill out the form.